Technosynthese® lubricant designed for gearboxes with integrated wet clutch using a different oil from engine oil. Motorbikes, Road, Trails, Cross (2 or 4 stroke engine), Enduro (2 or 4 stroke engine), Mopeds, Scooters, Quads... operating in severe conditions e.g. racing, high temperature, high stress. 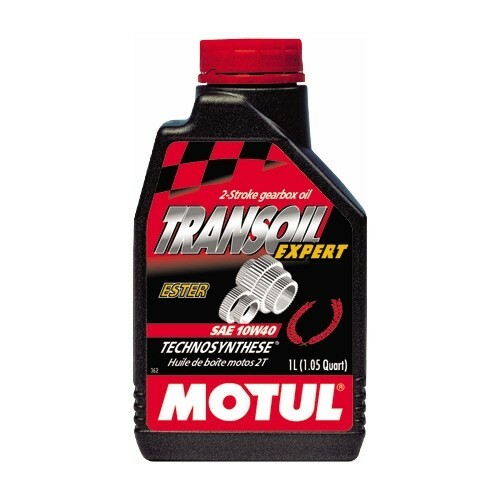 Recommended when manufacturers require SAE 10W-40 engine oil or SAE 80 gearbox oil.